This lecture is designed to help parents and professionals in facilitating communication and language acquisition at home and school. It will include discussions of play and language as well as the different techniques used for achieving language milestones. Ms. Kate Reyes is a BS Speech Pathology graduate of the UP Manila, College of Allied Medical Professionals in 2001. She served as a Clinical Supervisor of UP Camp in 2006. 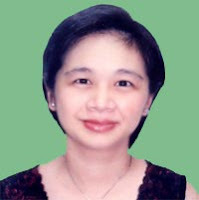 She is a co-owner of Independently, a family centered clinic in San Pascual, Batangas. Kate is a consultant of various centers in the country. She currently engages in research and continuing education of speech therapists in the management of children with various speech and language disorder. For the past 7 years, Kate has been a clinician, researcher, teacher and consultant. Good handwriting is needed by students in order to display what they know and advance through grade levels. When training children with poor handwriting, adults usually have them write over and over, hoping they eventually "catch" it and improve the quality of their work. This workshop describes the factors that affect handwriting - motor skills, sensory skills, ergonomic factors and behavioral issues. Developing foundational skills will result in better handwriting as the end-product. 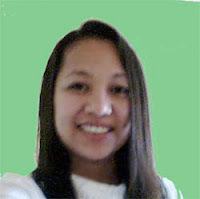 Ms.Anna Liza Yap-Tan Pascual is a licensed occupational therapist, registered both in the Philippines and in the USA. She took BS Occupational Therapy at UP-Manila and an 18 credit units for her Masters Degree program in Special Education at UP-Diliman. Teacher Anna organizes and facilitates numerous seminar-workshops. Her 16 year career as an Occupational Therapist both here and abroad makes her a sought after speaker on Sensory Integration. Teacher Anna owns and runs a therapy center based in Manila.